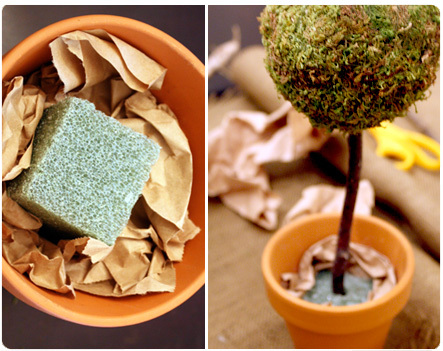 When it comes to spring decor, I’m not really a bunnies-and-eggs kind of girl. I tend to opt for natural, earthy items in wishful hopes that I can make the warm weather come faster. 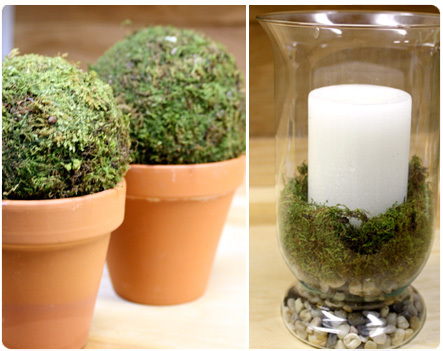 So on recent stroll through Pottery Barn while ogling their rustic farmhouse accessories I spotted some fun moss topiaries and thought “I could totally make those.” I often say this and rarely actually do it (c’mon, you know you do it too) but this was just too easy to pass up…plus, it was a perfect way to get my spring fix. 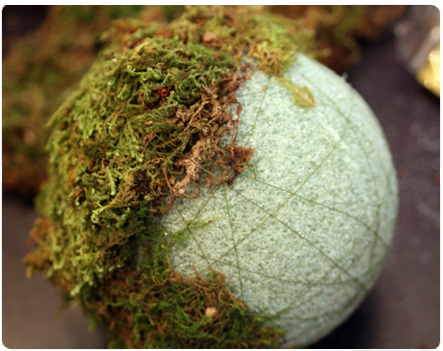 I cut my plastic sheet and place a chunk of sheet moss on the ball. 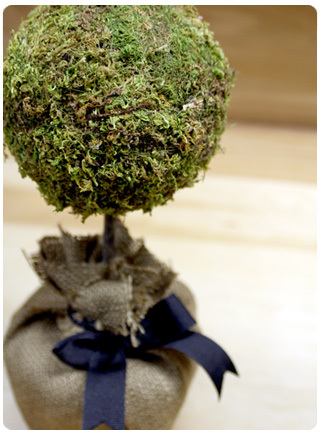 Holding onto the moss, use your thumb to hold the end of the embroidery thread onto the middle of the moss. 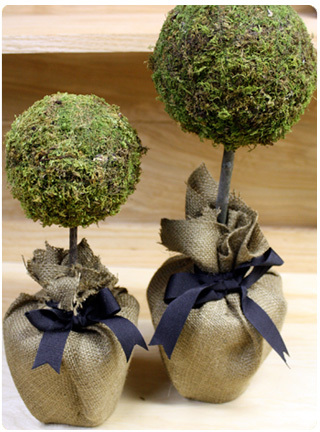 Wrap the thread around the ball repeatedly, varying the direction of your wrap to hold the moss in place and flatten out major lumps. Repeat the process several times until the whole ball is covered and fairly uniform in shape. Use your fingers or a needle to run the thread under existing wraps and tie it off. Your creative juices are really cooking this week!